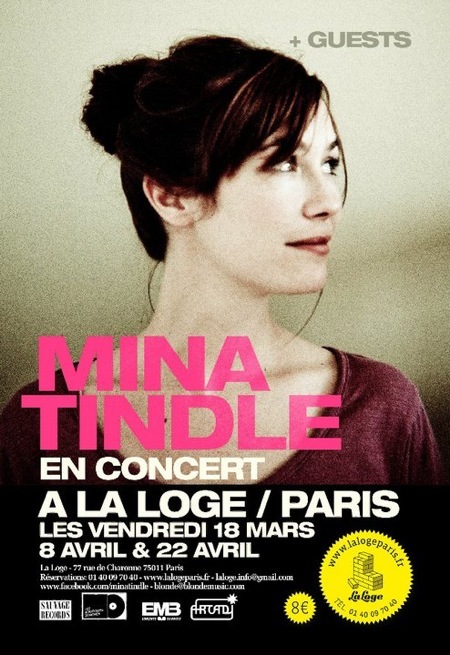 Mina Tindle will play three shows at La Loge in Paris: March 18th, April 8th and 22nd. 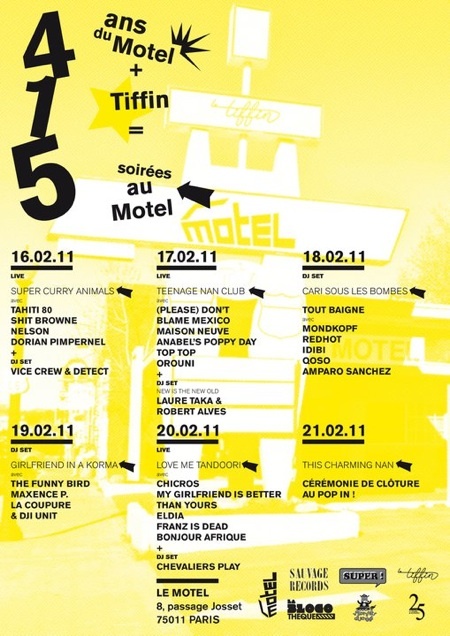 You’d better be there! 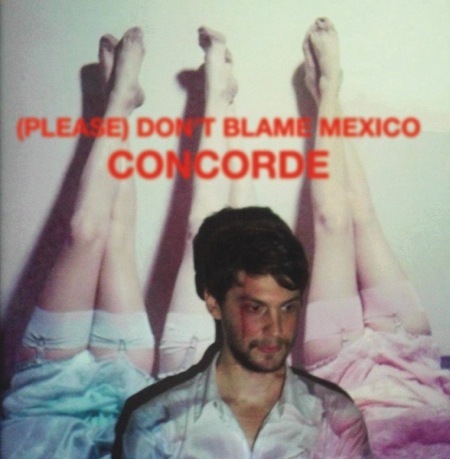 (Please) Don’t Blame Mexico‘s first album Concorde is out today! You can listen to it on Deezer, but most of all, (please) buy it. Guess who plays in the new video by The Go! Team: Lispector. 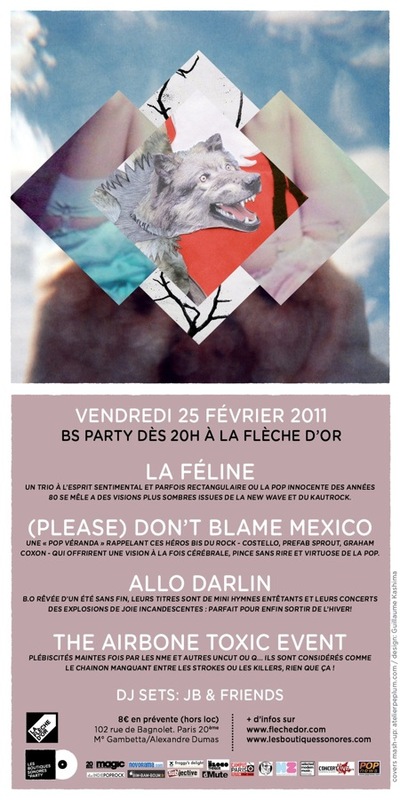 She is one of the founding members of Sauvage Records, a great label which will release a wonderful album in ten days now.